Calcium is the most abundant mineral in the body. Calcium is necessary for vascular contraction and vasodilation, muscle contraction, nerve signalling, intracellular signalling and hormonal balance. Only 1% of total calcium in the body is needed for these critical metabolic functions. 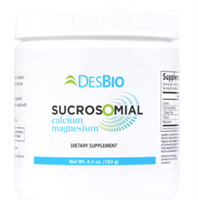 This serum calcium is very tightly regulated and does not fluctuate with changes in dietary intakes; the body uses bone tissue as a reservoir for, and source of calcium, to maintain constant concentrations of calcium in blood, muscle, and intercellular fluids. The other 99% is stored in bones and teeth to support their structure and function. Bone undergoes continuous remodeling, with constant resorption and deposition of calcium into new bone. The balance between bone resorption and deposition changes with age. Bone formation exceeds resorption in periods of growth in children and adolescents, whereas in early and middle adulthood both processes are relatively equal. In aging adults, particularly among postmenopausal women, bone breakdown exceeds formation, resulting in bone loss that increases the risk of osteoporosis over time. Good sources of calcium are dairy products (milk, cheese, yogurt), cabbage, broccoli, kale and fortified foods. Severe deficiency of calcium is rare, but getting inadequate amounts over the long term can lead to osteoporosis. . Osteoporosis, a disorder characterized by porous and fragile bones, is a serious public health problem for more than 10 million U.S. adults, 80% of whom are women. (Another 34 million have osteopenia, or low bone mass, which precedes osteoporosis.) The recommended daily allowance is 1000 mg per day for men and women 19-50. Make sure you are getting adequate amounts of vitamin D, as your body requires it to absorb calcium.